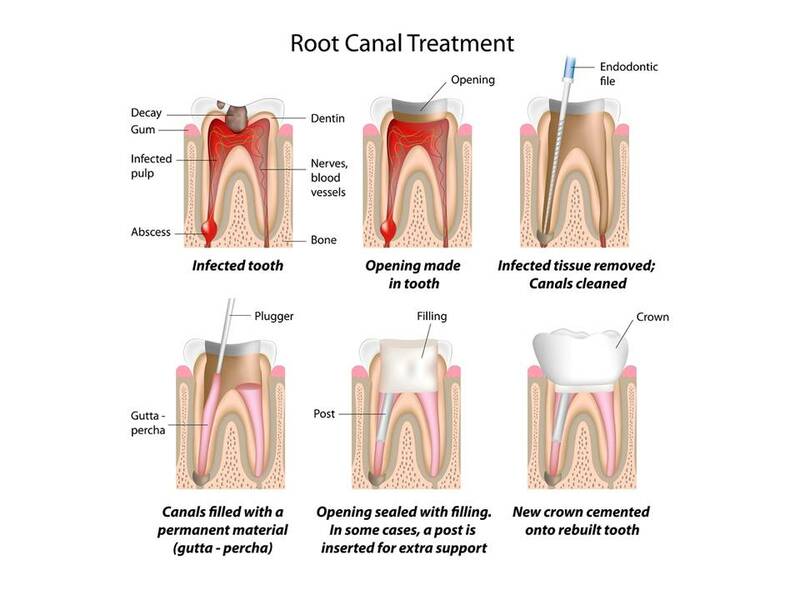 Has your dentist told you that you need root canal treatment, also know as endodontic treatment? What are some advantages of saving the natural tooth with root canal treatment? 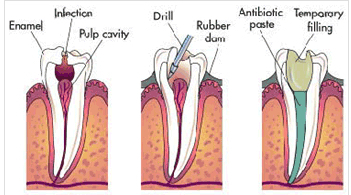 Root canal or endodontic treatment is necessary when the pulp becomes inflamed or infected. The inflammation or infection can have a variety of causes: deep decay, repeated dental procedures on the tooth, faulty crowns, or a crack or chip in the tooth. In addition, trauma to a tooth may cause pulp damage even if the tooth has no visible chips or cracks. If pulp inflammation or infection is left untreated, it can cause pain or lead to an abscess. Will I need a crown and why? After a tooth’s root canal treatment has been completed, it will require some type of permanent dental restoration and many times crown will be recommended. A crown will help strengthen the tooth, create a proper seal and can insure the longevity and durability of the tooth. What is root canal treatment experience like? Contrary to common belief endodontic treatment is very similar to having a routine filling and usually can be completed in one or two appointments, depending on the condition of your tooth and your personal circumstances. You can expect a comfortable experience during and after your appointment. Endodontic treatment helps you maintain your natural smile, continue eating the foods you love and limits the need for ongoing dental work. With proper care, most teeth that have had root canal treatment can last a lifetime. The cost of root canal treatment varies depending on the tooth involved. We work to keep our fees reasonable and affordable, and offer various payment options. If you think that you need root canal treatment, we will be happy to set up a consultation with you and review the costs of treatment with you. 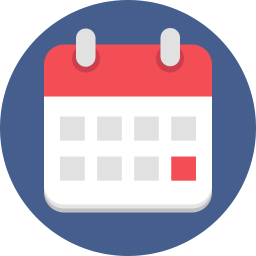 Will I need to go to a endodontic specialist? Occasionally, due to the expected complexity of treatment, Dr. Sessler may decide to refer your case to an endodontic specialist; if your case is referred, Dr. Sessler will continue to remain actively involved with your treatment.